With summer upon us and temperatures soaring, here’s a timely article, authored by David Csillan, MS, LAT, ATC, and published by the National Federation of State High School Associations (NFHS.org). The article – titled, Dangers of Heat Illness Reduced by Following Proper Guidelines – discusses exertional heat illness and exertional heat stroke (EHS), its myths and realities, and prevention strategies. It’s a worthwhile read for athletes, parents, coaches, and trainers. Outside temperatures are on the rise and will be in full force just in time for athletes to participate in their summer and preseason practices. For this reason, it’s important for athletic trainers, coaches and school administrators to get a tune-up on potentially what lies ahead. With a little advance planning, the risk of your athletes experiencing a catastrophic event due to exertional heat illness will be significantly decreased. There are various degrees of exertional heat illness with exertional heat stroke (EHS) being the most serious. Many athletic injuries are a result of bad luck or overtraining; however, EHS is 100 percent preventable if the nationally recommended heat acclimatization guidelines are followed and schools are prepared to initiate appropriate care if an emergency occurs. The EHS death of Minnesota Vikings’ offensive tackle Korey Stringer during football camp in August 2001 elevated the discussion and action with regard to physical exertion in the heat. 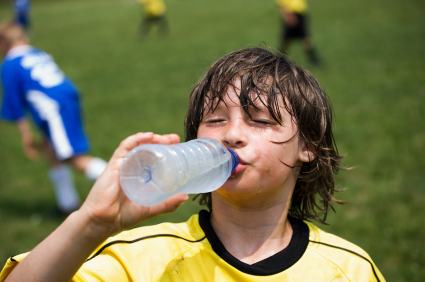 The NFHS Sports Medicine Advisory Committee wrote a position statement and created an online course entitled A Guide to Heat Acclimatization and Heat Illness Prevention. The National Athletic Trainers’ Association (NATA) developed several position statements and published Preseason Heat Acclimatization Guidelines for Secondary School Athletics. The Korey Stringer Institute (KSI) was established to provide research, education, advocacy and consultation to maximize performance, optimize safety and prevent sudden death in athletes. The University of Georgia’s Climatology Research Laboratory released heat safety thresholds for specific regions throughout the country. These thresholds are currently being applied in the Georgia High School Association’s heat illness policy. Now that we have the evidence-based data, we may ask ourselves “Why and how do we apply it”? In order to acquire a better understanding of EHS and its management, we must first debunk a few common myths. Myth #1: EHS can only occur when ambient temperatures reach 100 degrees F.
Truth: Evidence suggests that the wet bulb globe temperature (WBGT) should be the measurement of choice to determine safe environmental conditions for physical activity. The WBGT provides a reading of ambient temperature, relative humidity, wind speed and radiant heat (from the sun). Why is wind speed important? It allows for better evaporation of sweat leading to more effective cooling. Environmental conditions are constantly changing over the course of practice. As opposed to listening to the weather report prior to practice, the athletic trainer should monitor environmental conditions on site in real time. Utilizing a WBGT device and establishing activity modification guidelines such as work-rest ratios, hydration breaks, equipment worn and length of practice significantly decreases the risk of EHS. Many coaches still refer to their area’s heat index when determining how practices will be conducted. Heat index refers to the ambient temperature and relative humidity measured in the shade and was originally used to determine if outdoor conditions were safe for the young and elderly. Since athletes are exercising in the direct sun, heat index readings are deemed inappropriate. Although dangerous conditions most commonly occur during the hot summer months, EHS can happen at any time and in the absence of high environmental temperatures. EHS is not a 100 degrees’ issue. Geographical location plays an important role. Generally speaking, athletes residing in the Northeast part of the country are accustomed to cooler temperatures compared to those in the Southeast or Midwest. As a result, participating in an environment of 85 degrees with high humidity for those living in the Northeast presents equal risk of EHS to those living in the Southeast and Midwest participating in temperatures reaching 100 degrees with high humidity. It is also important to understand that direct sun is not the sole contributor of heat deaths. Exercise intensity and environmental conditions are the primary factors associated with EHS. Myth #2: An athlete must be severely dehydrated for EHS to occur. Truth: While dehydration may predispose an athlete to, or exacerbate, EHS, dehydration does not always have to be present for EHS to occur. EHS can result in as little as 20 minutes after the beginning of exercise before severe fluid loss is prominent. The days of over-hydrating are gone as we’ve found this may put the athlete at risk for hyponatremia – another potentially catastrophic event. 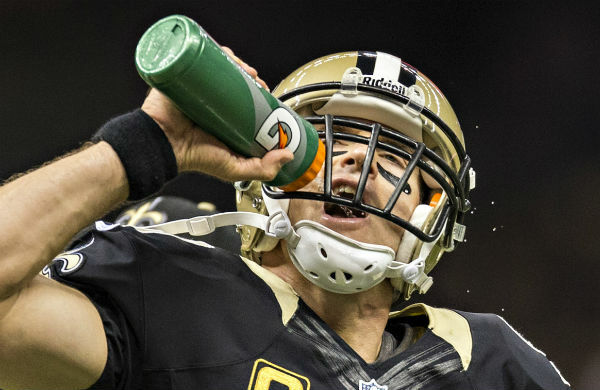 During activity, athletes should be instructed to allow thirst to be their guide. Athletes should weigh themselves prior to, and immediately after, every practice. The weight should be recorded on a chart and strictly monitored by the athletic trainer or coach. A weight loss of two percent or more for any athlete should be made up prior to that athlete participating in the next practice. Otherwise, the athlete will be competing at a deficit and increasing their risk. Myth #3: An athlete stops sweating during EHS. Truth: We’ve been taught that heat stroke yields hot, dry skin on the victim. However, since EHS occurs during intense exercise in the heat, the athlete is almost always profusely sweating upon collapse. This is perhaps the most widely misunderstood sign of EHS and may lead to mistreatment and death. It’s important to review the current literature published by the NFHS, NATA and KSI in order to be updated on EHS signs, symptoms and management. tub is about ONE degree F every three minutes. On the average, it may take 15 minutes to cool the body five degrees. If an athlete is not cooled prior to transportation, the risk of developing complications or losing the athlete to EHS increases. Even though the EMS vehicle may be air conditioned, it’s not sufficient enough to lower the athlete’s core temperature during transport. Twenty athletes died as a result of EHS from 2010 to 2015. This five-year block was greater than any five-year block in the past 40 years. It’s two times the five-year block average for EHS deaths since 1975. The five-year block average over 35 years is 10.5 deaths. We must ask ourselves, “Things are getting worse, but why”? The warmer climate, coupled with the fact that today’s youth spend more time than ever before in air conditioned facilities, sets them up as potential victims. Coaches need to remember that young athletes comprise this population and not everyone will be reporting to preseason camp acclimatized and in shape. The research and education is available but the application continues to lack. Unless we understand the nature of EHS and utilize best practices in emergency management, these statistics will continue to climb. Exertional heat stroke is not exclusive to football. It is non-discriminatory. EHS can occur regardless of male/female, football/field hockey, varsity/freshman or outdoors/indoors. As athletic trainers, coaches and administrators, we owe it to our athletes to provide them with the safest environment to compete. And, we must start now. Summer is here and, although hydration is always important, it can be difficult to drink enough to stay hydrated when temperatures climb. Fortunately, you can get plenty of fluid through your food – more specifically, fresh summer produce. 1 medium peach = 5 oz. 1 cup sliced strawberries = 5 oz. 1 cup sliced cucumber = 4 oz. 1 medium tomato = 4 oz. 1 cup chopped raw zucchini = 4 oz. 1 ear cooked corn on the cob = 3 oz. 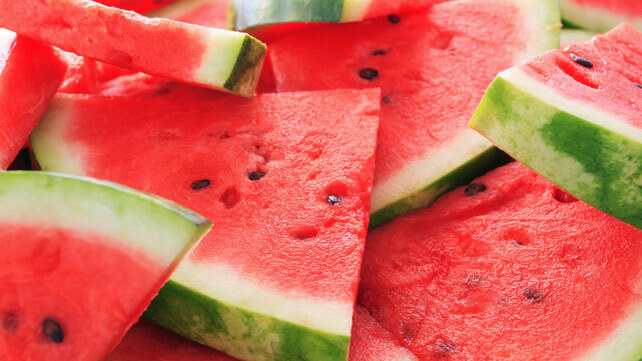 Supplement your hydration and improve your nutrition with fresh summer fruits and veggies. Water plays a crucial role in athletic performance, and dehydration adversely affects performance. As a matter of fact, water affects athletic performance more than any other nutrient, and dehydration is the number one cause of performance-related decline. For most of us — in most situations — water (consumed in ample quantities) is all we need to keep us hydrated. Consuming adequate fluids before, during, and after training and competition is essential to optimal strength training, endurance aerobic exercise, and athletic performance. Fluid replacement may also depend on the athlete, him- or herself, as there may be differences in ideal fluid replacement among and between athletes. Any of these situations, alone or in combination, may precipitate a need for something more than water. Sweat-induced fluid loss can create an electrolyte deficit — including sodium, (and, to a lesser extent) potassium, and magnesium. Here’s some insight from Craig A. Horswill, PhD titled, Making Your Fluids Work Harder When You Work Hard. Well (regarding the title), I’m not sure that’s 100% true — at least some of the work has to be done in the weight room — but I do believe You Can’t “Out-Train” a Bad Diet. 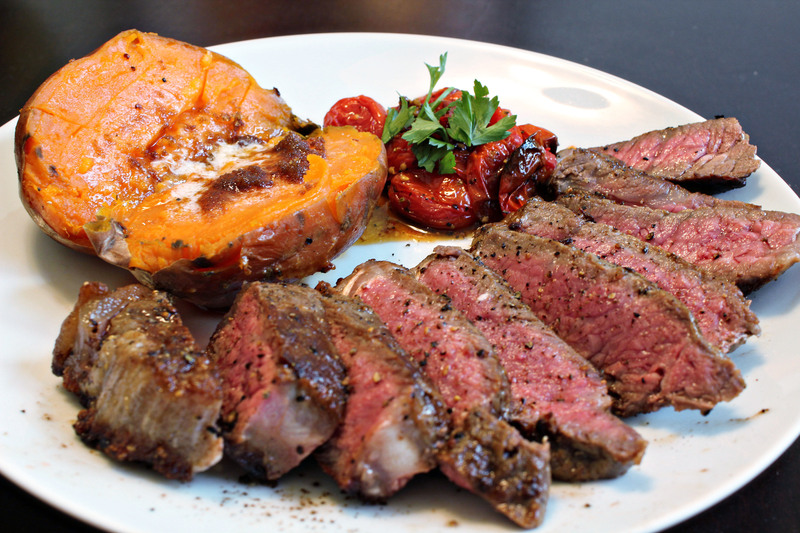 Here’s an article, titled, 7 Eating Habits That Will Uncover Your Abs, that provides some helpful advice and insight about the relationship between diet and the quest for abs. Remember, balance and moderation is the key. An extreme, fanatical approach to diet and nutrition (or anything else) rarely has “staying power;” slow and steady — consistency — is the way to go. 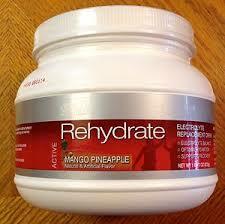 Dehydration is the #1 cause of performance-related decline, but not just physiological decline. Even mild-to-moderate dehydration in school-aged kids can adversely impact cognitive performance. 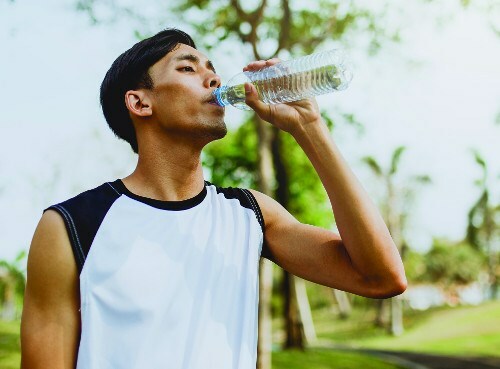 Being dehydrated by just 2% impairs performance in tasks that require attention, psychomotor, and immediate memory skills, according to research from the Journal of the American College of Nutrition. Many of the student-athletes we train tell us that water bottles are forbidden in their schools. Perhaps there’s some safety/security issue that I just don’t see, but I don’t understand this policy. Teachers and administrators should be encouraging their students to stay hydrated throughout the day. I’ve read about schools whose teachers remind their students, at the end of each period, to get a drink of water between classes. 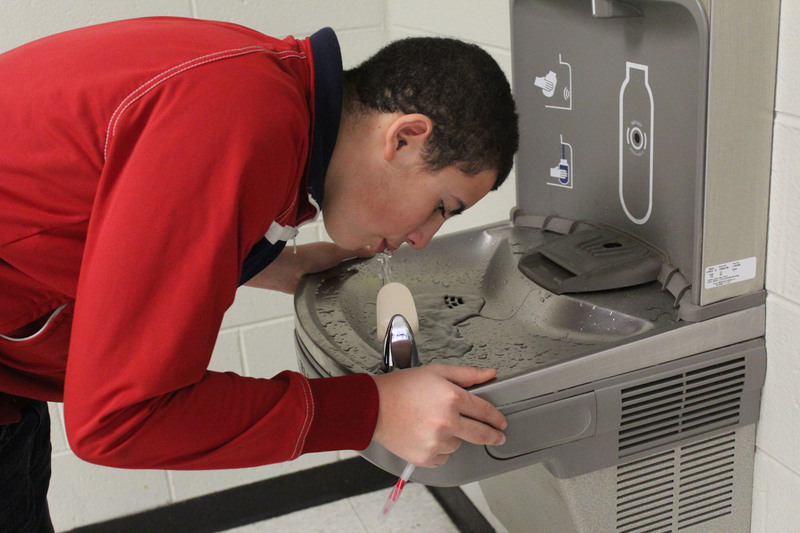 I’ve also heard about schools that set up “drink stations” in their halls to ensure that students have an opportunity to drink water between classes. Improving education and awareness among administrators, teachers, and students — as is relates to proper hydration and its impact on daily physiological and psychological function — is a step in the right direction.